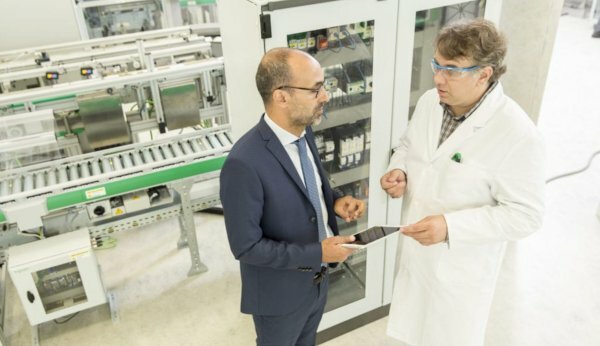 Schneider Electric is leading the digital transformation of industrial automation markets. Our IoT technologies are delivered through our EcoStruxure architecture and are ready for smart manufacturing. We can deliver new business opportunities for plants and machine builders. So that, both profitability and productivity will increase. EcoStruxure delivers innovation at every level of the plant or machine, from connected products to edge control and to apps, analytics and services. Our connected products include ranges from motor controllers to circuit breakers and sensors. They enable customers’ assets to provide advanced process data for smarter operations. In other words, they bring intelligence to our customers’ systems. Worldwide demand for energy is expected to double by 2050. Growing concern for the environment is driving the emergence of more stringent energy-efficiency regulations around the globe. Motors account for up to 80 percent of electricity consumption in the industrial sector, making them a prime target for energy-saving measures. Engineers develop new motors to meet environmental needs. However, arrival of these new motors at industrial sites across Europe has created some new challenges. Most notably, their less-efficient counterparts, which impact the whole process of manufacturing. However, in addition to that not all the companies are ready for innovation. Some of them prefer to stick to old-fashion processes that would bring businesses to the same challenge – non-efficient production. However, with our solution, we ensure the efficiency of the factory through different areas. Firstly, safety of personnel and motors is ensured. Secondly, the connection maintains reliable even in the toughest conditions at all stages of production. Thirdly, user-friendly design provides a high-visibility trip indication. There have been cases where problems accrued due to the fact that the trip was not identified on time. In addition, circuit breaker ensures a secure, long-lasting power connection for customers’ electrical installation. Moreover, it promotes an environmental policy whilst preserving customers’ business efficiency.